Haze gas and haze-causing materials (SO2 & NO2) are absorbed by the filter,and then eliminated by a chemical reaction with the haze-block coating. 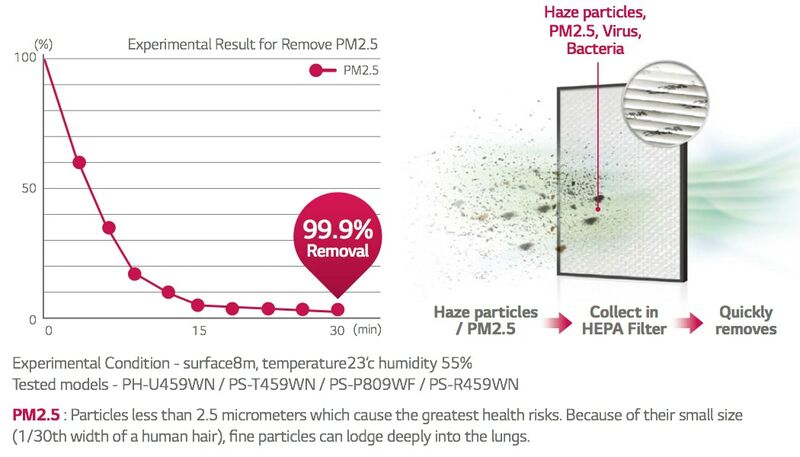 High Efficiency Particulate Air (HEPA) Filter provides strong filtration of bacteria,viruses,and yellow dust.ALso shows 99.9% removal of PM2,5. 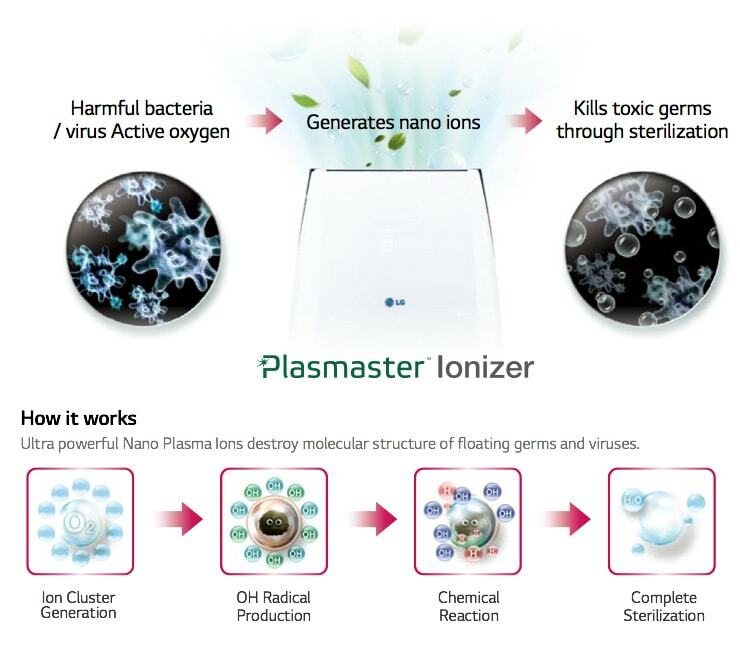 Over 2 million plasma ions eliminate airborne bacteria,viruses and other harmful substances.